Hmmm, I know. It doesn’t look like I’m doing any sketching in less in this photo. Far more likely that I’m showing off my Christmas present from my mum which is very cosy indeed! 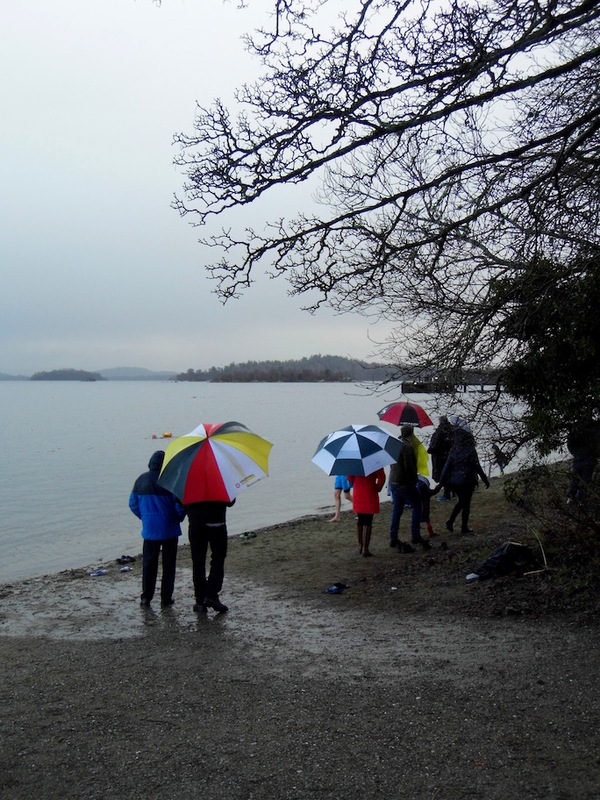 Plus compared to the adventures that some people enjoyed at Luss on New Year’s Day, ours were pretty tame. Stoatin’ aboot is one of the favourite activities of my other half and myself. We both enjoy days out around Glasgow. And having been repatriated to Scotland in the last couple of years, I’m keen to see much more of the land of my birth. Both being artists, Stephen and I take advantage of living in the World’s Most Beautiful Country and take out sketchbooks with us. I hope to share plenty more arty days out and the results with you on Stars & Stems. For me drawing from life is a task I work on continuously. I started art late in life due to having had an academic education and being pushed towards sensible subjects. And so discovering that I had some aptitude for art and creativity was a wonderful thing as an adult. I enrolled on a one-year GCSE course when I lived in London and got an A grade in the exam. I knew then that I had to make art more than just a hobby. That said, I’d missed out on all the basic skills of art as a teenager. Years later and I am striving to make up for them. As my dad says, you have to learn the rules before you can break them. He’s particularly good at sketching and always has a small book with him. Sometimes it’s an ordinary lined notebook since he’s a writer too. Nonetheless, he’ll fill them with biro or fountain pen sketches of trees and street views. Or just people having coffee minding their own business, unaware they’re ending up captured in pencil, pen and ink for posterity. I may need to catch up, but I never let my missing years stop me. 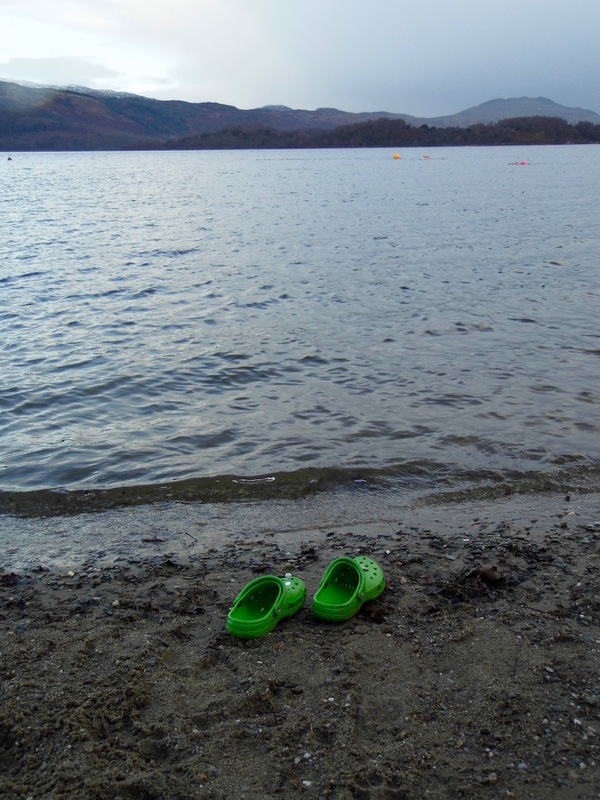 Loch Lomond, fresh air, tranquility, a pretty wee village… what’s not to like? And it’s right on our doorstep! So much sketch fodder here – the loch, islands and mountains, all wrapped up in that ever-changing Scottish light. Scenery that artists past and present have captured. Take a look at our pal Julie Arbuckle’s pretty watercolour of Loch Lomond from just above Luss. Plus lots more of her Scottish landscape work on her site. Julie specialties in landscapes in general, bringing modern creative techniques to an evergreen subject. But before we talk art, let’s give the New Year swimmers a round of applause. They were out in force when we arrived. Taking a New Year’s dip is gaining popularity in Scotland, such as the Loony Dook in my original hometown of North Berwick (captured on film here by my pal Yvonne). One year I may just join them – but for now I’ll keep enjoying the relative warmth of the Clydebank Leisure Centre! Now, I wasn’t nearly as brave as those swimmers. But I did spend a good half hour doing some quick sketches outside the car en plain air. Which for someone who was three days on from surgery, albeit minor, was perhaps a bit daft. But who can blame me? We spotted this view of the loch when we were searching for a place where we could both sketch from the car. 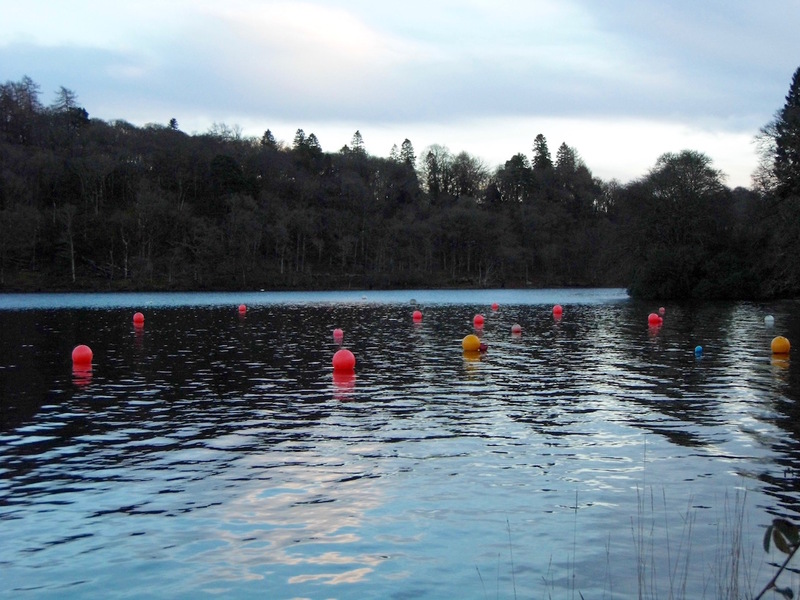 It immediately appealed to me because of the bright coloured buoys breaking the surface. Plus the water itself with its big bands of ice blue running through the darker hues. I can imagine this scene becoming something impressionistic or favoured by Scottish Colourists. 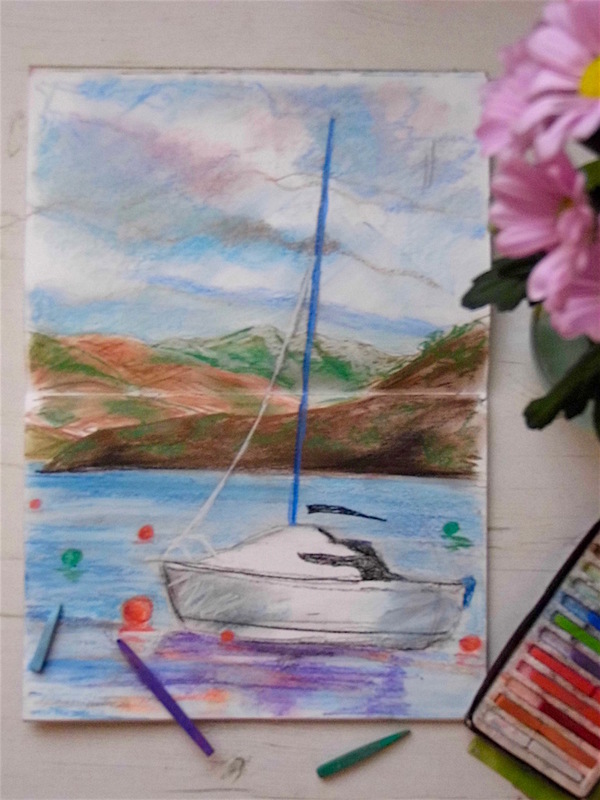 As you’ll see I’ve done this sketch in coloured pastels, a method I often rely on as it’s easy to blend colours together. And like charcoal it’s forgiving – mistakes can be rubbed out and sketched over easily. I did cheat a little bit, but I do have an excuse. I forgot to bring my spray fixative and wanted to add a bit of detail to the yacht. So I finished it off at home! Next step will be to paint it. It will serve as good exercise in from an original drawing, therefore from observation. That’s one of the big things to do at art school. And to my mind, a method that guarantees a great painting. Stephen, on the other hand, did a typically detailed sketch as you see here. He’s kindly allowed me to post it here so that you can see the different styles. His first! 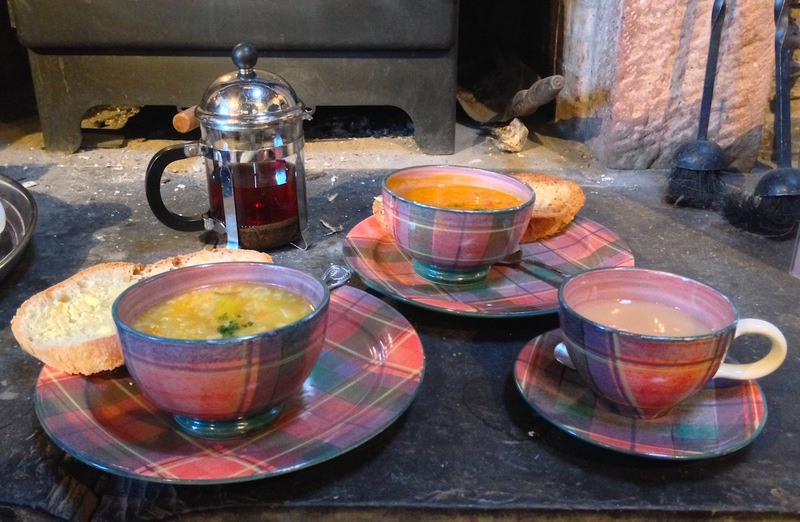 Luss is probably just under an hour’s drive from Glasgow alone the A82. Train-wise take to Oban train from Glasgow Queen Street and get out at Helensburgh Upper, then take the 302 bus for four stops towards Lochgoilhead and get out at the Luss Visitor Centre. As always, thanks for popping in. 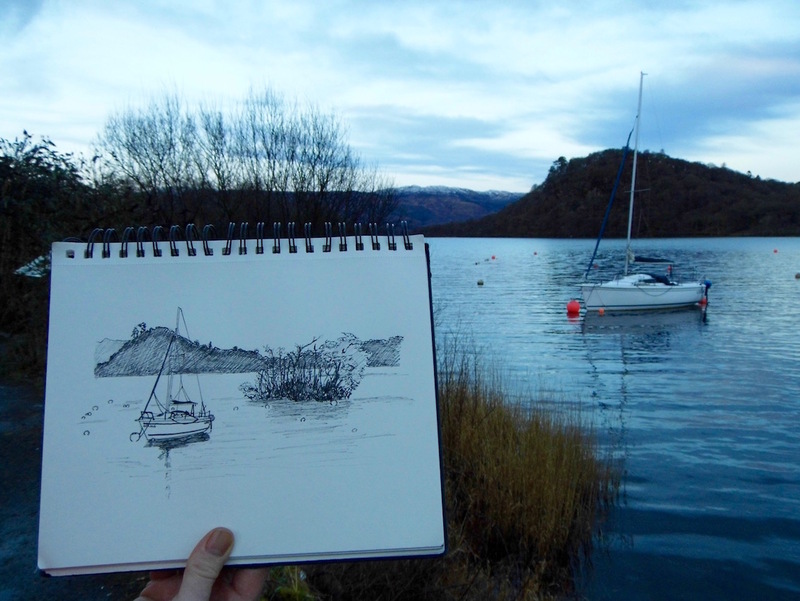 Do you take you like sketching when you’re out and about? What do you like to draw? Let me know in the comment section below. "The Glasgow Science Centre: A spot of stargazing"
"Banishing the January Blues: North Berwick"